Why Use Middle Bits as Index? 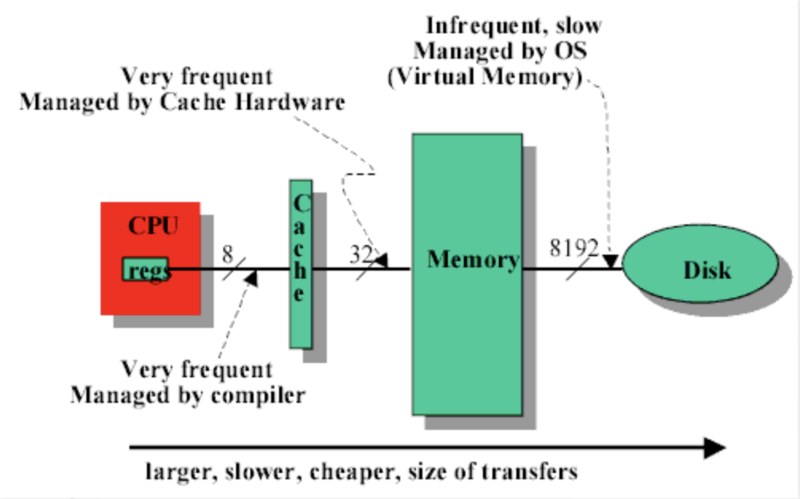 Computers use memory technologies of varying size and speed to achieve both acceptable speed and size at an affordable cost. 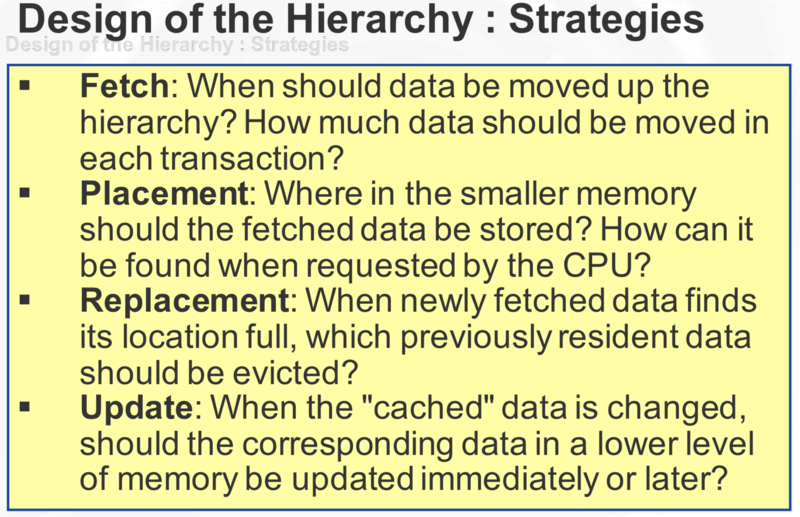 This scheme of taking advantage of several memory technologies to get both speed and size is called a memory hierarchy. The immediate future will be similar to the immediate past and that memory addresses that have been accessed recently are likely to be accessed again. References to a single address occurclose together in time (this is calledtemporal locality). References to addresses that are nearto each other occur together in time(this is called spatial locality). It is a property of programs, not of computers. 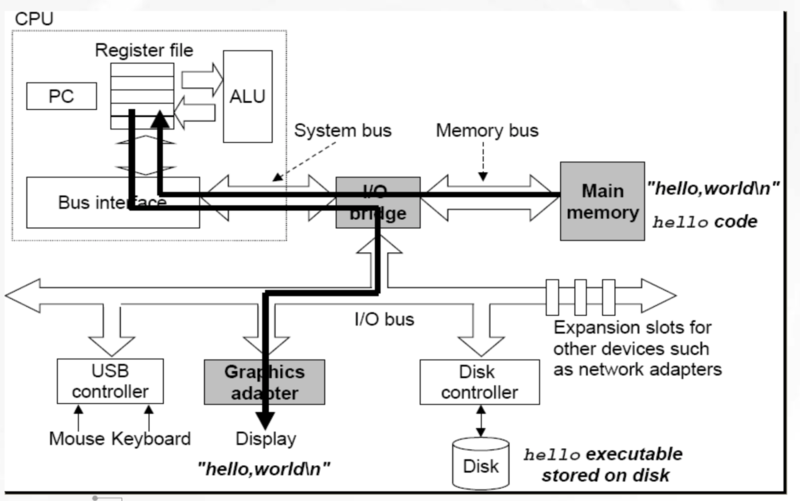 Program’s locality is a property of the program’s behavior, and not of the computer. 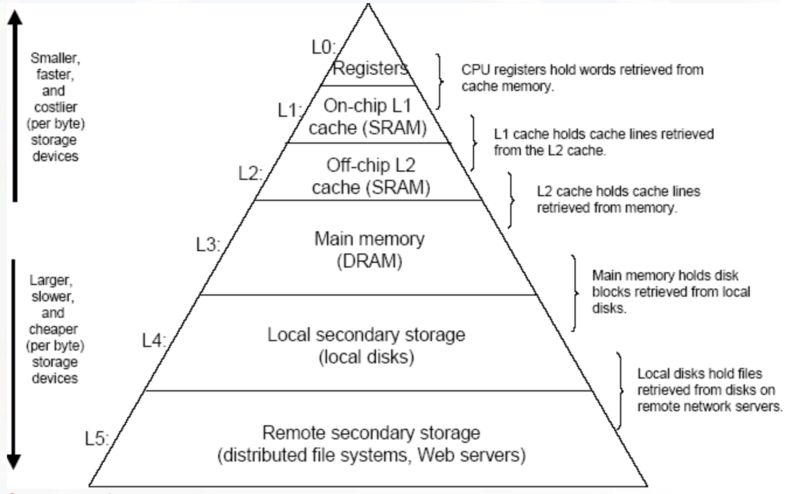 Typical computer designs have at least four levels in the hierarchy. The policy decisions for these levels are made as the program executes.